The WWE Hall of Fame as of 2018 consists of 183 inductees encompassing some of the biggest names ever in the sport such as Hulk Hogan, Stone Cold Steve Austin, Ric Flair and Shawn Michaels. However, there are many more that are conspicuous by their absence. The following slides show the 7 most inexcusable absentees from the Hall of Fame and possible reasons why these major superstars have yet to be inducted. The man who at one time beat Vince McMahon at his own game and more than anybody else came close to putting the WWF/E machine out of business. Eric Bischoff was appointed the WCW head honcho after a revolving door of bookers such as Bill Watts, Dusty Rhodes, Jim Herd and others had failed to make WCW a profitable entity and serious competition for McMahon. Bischoff though was different from those old timers. He looked to Japan for inspiration and happened upon a storyline with which he would base the revolutionary new World Order (nWO) upon, as well as light-heavyweight stars such as Jushin Liger and Chris Jericho who he brought to his company. Through these stunning athletes, he developed the Cruiserweight division which brought high flying action that American audiences had never seen before. In combination with aggressively pursuing former and current WWF talent such as Hulk Hogan, Randy Savage, Scott Hall and Kevin Nash to main event the shows, Bischoff’s WCW became a financial juggernaut and hot-bed of creativity not seen in the sterile family friendly WWF programming of the mid-nineties. 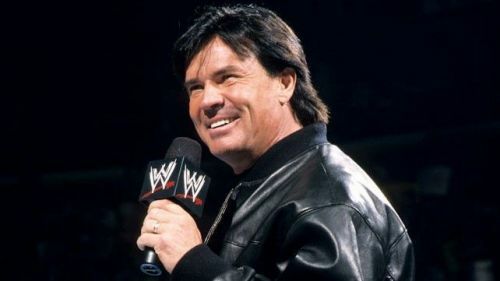 Although Bischoff lost his grip on the promotion in 1999, he remains one of the most influential figures in wrestling history, one which beat the WWF in the Monday night ratings war for 18 months straight. That is the reason why his induction hasn’t yet happened. WWE would have to admit that Bischoff was good at his job during that famed 1996-1998 period and wasn’t only defeating WWF/E in the ratings due to Ted Turner’s money. Don’t doubt it though. Bischoff is currently on good terms with WWE and he will be inducted one day.